Here's a quick piece of info: at SPF 15, most harmful rays of the sun are blocked. At SPF30 virtually all of them are. 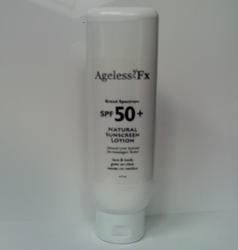 At SPF50+, we've left nothing to chance! For external use only. For adults, keep out of reach of children. If in direct contact with eyes, rinse with water. As with all skin care products, if any rash develops or persists, stop use and consult a doctor.